During the first four months Kenya’s food imports grew by 30.10 percent, as compared to last year during this quarter. The data as provided by Central Bank of Kenya indicates that during the same period the import bill for Jan-Apr 2018 was Sh68.63 billion, while in the year 2017 it was Sh52.75 billion. 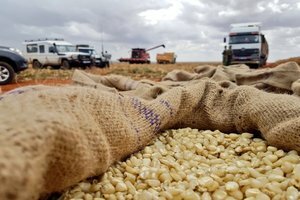 This show that the country’s food imports has increased, reflecting the dependence on foreign markets despite improved weather conditions. The country’s over dependency on the rain for agriculture has simultaneously seen an increase in imports. A sharp drought last year provoked the subsidies and imports waiver during the period of May-December. The motive was to ease the purchase of food such as milk powder, sugar and maize coming in from outside the country in order to meet the local demands with ease of price. As per the Economic survey 2018, other major imports witnessed were wheat, wheat flour, rice and sugar. While the import for minerals grew 25.96 percent to Sh109.43 billion, the import of chemicals rose 9.93 percent to sh92.09 billion. However the largest share of import, which is accounted for machinery Sh146.59 billion, has observed a drop of 15.03 percent. Also the consequential increase in petroleum imports is likely to have a major impact on the current account, given that this commodity accounts for nearly 14 per cent of the country’s total import bill. The country’s total import bill between January-April this year was 11.64 percent as compared 9.56 percent last year. Total imports in the period stood at Sh589.62 billion, a growth of 6.86 per cent over a year earlier. As a part of the big four agenda along with universal healthcare, affordable housing and manufacturing, President Uhuru Kenyatta has made food security an important factor. This is mainly through an increase of investment in irrigation facility.